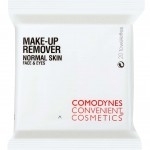 COMODYNES Makeup Remover/ Daily facial cleanser is designed for Combination and Oily Skin. Contains amazing properties of the BURDOCK plant that leaves your skin refreshed, clean and oil free longer. Hypoallergenic / dermatologist tested. Removes make-up, tones, moisturizes – all in a single swipe. Perfect for dry and sensitive skin types. Thanks to the soothing and nourishing properties of Oats, this formula is perfect for dry and sensitive skin types. These facial cleansing towelettes have the following effects in a single swipe: removes make-up, tones,& moisturizes. Designed for dry/sensitive skin, made of extra smooth towelettes that are 100% natural viscose. They gently cleanse, tone and moisturize your skin in a single swipe. 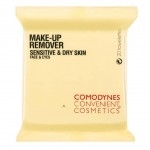 COMODYNES Purifying Cleanser/ Daily facial cleanser is designed for Acne Prone and Oily Skin. Paraben-free. Allergen-free perfume. No added dyes. Non-comedogenic. – Recommended for oily skin and acne-prone skin. 100% natural and biodegradable fibers. If you have oily skin, pay careful attention to skin hygiene. 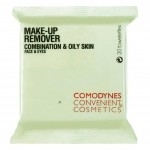 Make-up Remover Oily & Combination Skin towelettes regulate and purify skin without causing dryness. In just 1 minute you’re finished. No more excuses! In just one easy step they provide a complete facial cleanse. Special formula for oily and combination skin. Doesn’t cause dry skin. It’s the equivalent of using a cleanser, toner, and eye make-up remover. Formula suitable for both face and eyes.